Little is known about the many achievements of African American guardsmen in U.S. history from the late nineteenth to the mid-twentieth centuries. This detailed account thus fills an important gap in our knowledge about the establishment of African American militias in 1877 and their service in wartime and peacetime until the integration of the National Guard in 1950. 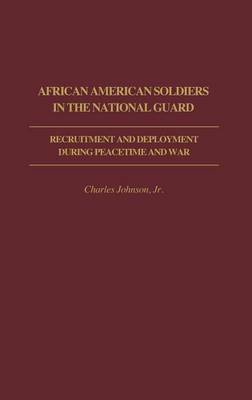 This careful study of extensive primary and secondary sources is intended for military historians and for all who want to know more about African American contributions to the defense of our nation. Following a short introduction providing some historical background, the study launches into a description of the establishment of African American militia organizations in and about 1877 and their involvement in the Spanish American War and in quelling civil disturbances and disasters up to 1914. The history deals next with the service of African American guardsmen units in World War I, their work in the years between the wars, and their involvement in World War II. The story ends with a description of the initial reorganization of these units and their integration into the National Guard in 1949 and 1950. A lengthy bibliography of primary and secondary sources is useful as well in pointing to the role of African American militias and guardsmen in the history of this important period.